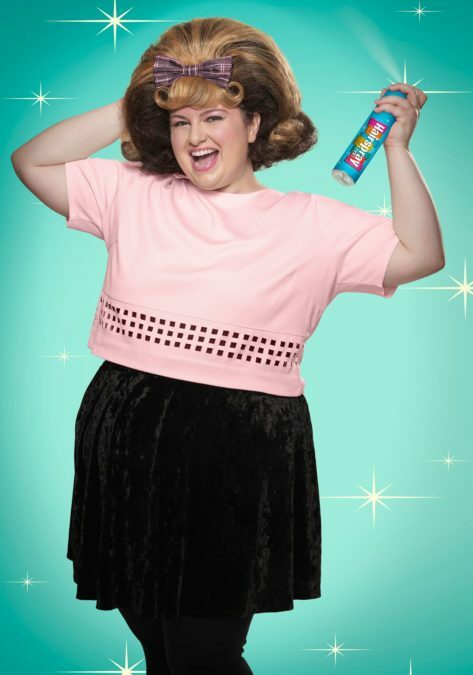 Oh, oh, oh, Maddie Baillio woke up today, feeling the way she always does, except she had some big news to share: this December, she’ll take on the coveted role of Tracy Turnblad in NBC’s Hairspray Live! The Texas native just finished her sophomore year as a Theatre Arts major at Marymount Manhattan College, and now she’s getting ready to share the soundstage with Harvey Fierstein, Jennifer Hudson and more. Broadway.com sat down with the fresh face on the day of the announcement to learn all about the dramatic reveal from director Kenny Leon, keeping Game of Thrones-level secrets and more. Congratulations! This all must be such a whirlwind for you. This is surreal. I was finishing my finals in college two weeks ago. This is incredible. Walk me through that moment when you booked it. It was the last call back. Kenny Leon came in with a big envelope. He said, “Harvey Fierstein just emailed this to me and asked if you'd read it. It's a part of the script, so just take it out of the envelope, look into the camera and project.” And I'm like, “Oh, this is fishy!” I pulled it out, and in huge, bold letters it said, “The role of Tracy Turnblad in NBC's Hairspray Live! will be played by Maddie Baillio.” I didn’t think it was real. I actually asked Kenny, “Are you joking? This is cruel if you're joking!” But it was real, obviously. I called my mom, and she was very excited for me, and my dad just screamed. I think he was on his tractor in Texas. Was it tough keeping the news a secret? So tough. I don't know how famous people do that, like on Game of Thrones. I think it was even harder for my parents to keep it a secret. What was the open call process like? There were so many hopefuls who went full out with hair and costumes. Did you go that route? No, I think I was the only girl wearing pants. I wore pants and a color-blocked sweater. I kept it simple. Have you done Hairspray before? I think by December, you'll have it down. Hopefully! That's the only song I'm going to practice every day. Has Hairspray been a part of your life for a while now? Ever since I saw the movie, I fell in love with Tracy. That's a girl who looks like me. You don't see that on TV or film, or anywhere at all these days. That was really inspirational. What is it about the show and Tracy that resonates with you? There are so many important themes in Hairspray that are relevant today—particularly body image. Tracy’s so comfortable in her skin, but it took me a while to feel that way. She’s so optimistic. She sees a rat on the street, and she's like, "That is the coolest thing ever." I wouldn't go that far, but I feel the same about a lot of things. For many people, these telecasts are their first exposure to musicals. What does it mean for you to be a part of that? I wish when I was really young, there would have been something like this. Being all the way out in Texas, there's no way I could just come and see a Broadway show every weekend. It's cool that people get to experience this art form that's so beautiful and important in my life. What's going through your head as you get ready to work with these huge names like Kenny Leon, Harvey Fierstein and Jennifer Hudson? These are people I've looked up to for so long. Harvey Fierstein won a Tony for this! And I know Jennifer Hudson is going to slay. I think what I'm most excited about is not just working with them, but learning from them. If there are days when I don't have rehearsal, maybe I can just go and look at them. That would be the best masterclass in the world. NBC’s Hairspray Live! will air from Los Angeles on December 7.